1. How can teachers, educators, advocates or anyone working with children from various cultures can educate parents about different children milestones development and understanding that every individual child grows at different developmental rates? 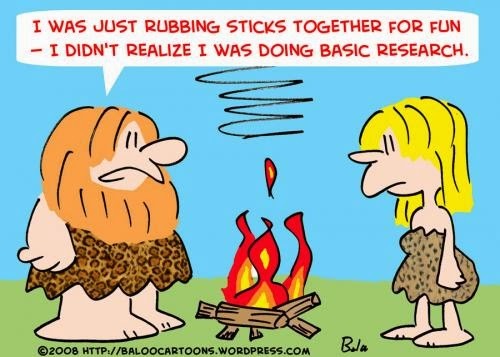 I know my research study and things that I am trying to explain is confusing and complicated. But I have always wonder about this developmental milestones of children and how can I do better job of explaining to these novice parents that its ok that their child is taking time to cross certain milestones. In this way, if anyone would suggest me any resources or articles on this topic, it would be very helpful. I am open to any suggestions, helps, advice or even constructive criticism regarding this research topic. Since I am a teacher, I am interested in your topic. It can be a sensitive topic in some classrooms about how some children are growing and learning at different rates. Families can be very concerned with how their child is growing and learning and can sometimes compare with the other children in the classroom. I am interested to see where this topic takes you in your research and what you will learn! Thank you Heather! I will keep it updated...this is something I have personal interest too. I don’t find your topic confusing at all. There are families that do not understand that children develop at different milestones and I have experienced this personally. I have had a couple of siblings of different ages that have passed through my class and their parents tend to worry about them because they ted to compare then to their siblings not understanding that all children learn differently and also at different paces. thank you Erika for the encouragement. I agree with Erika's comment. I don't find your topic confusing at all. Parents compare their children to other children all the time. It's difficult to explain to parents that what is normal for their child may not be normal for someone else's. I like to explain milestones as more of guidelines. Great post! Ihakpa your topic is not confusing and I understand your frustration when because on a personal note I have three sons and none of them developed the same way. One walked at eight months, the other at twelve months and the last one at fourteen months. I was concerned about the last one but after doing some research, I realized that there is a range for physical development and the walking range is from 6 – 18 months. I believe that your topic is a great one and I know there is research information that will assist you so that you can share with parents. Take a read at the following article I looked it up on the Walden university site it is under (EDU 6160) Early childhood development. Walker, S., Wachs, T. D., Gardner, J. M., Lozoff, B., Wasserman, G. A., Pollitt, E., Carter, J. A., & International Child Development Steering Group, (2007). Child development in developing countries 2: Child development: risk factors for adverse outcomes in developing countries. The Lancet, 369(9556), 145–157. Thank you so much Emsece for the reference. You chose an interesting topic. The example that you gave involves physical development, is that the area you intend to focus on? If you decided to include other developmental topics such as language development or emotional development, it might become complex and confusing. Great question Melissa. I need to decide soon which area I want to focus. thank you for the heads up. I agree with Erika and a lot others! Your topic is not confusing at all. It is essential to understand these different milestones of development in the early childhood field. There are so many books and online material that can help you to understand this better. But, very valid topic and necessary topic.